Academic title: Professor (specialty “Economics”). Position: Professor of the Department “engineering entrepreneurship and marketing”. 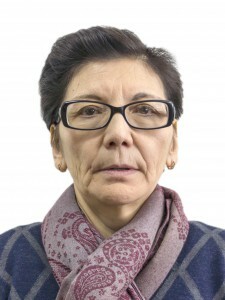 After graduating in 1983. with honors from the Karaganda Polytechnical Institute on a speciality “Economy and organization of machine-building industry” – present – assistant, senior lecturer, associate Professor, Professor of Department of “Engineering entrepreneurship and marketing” of the University. The total number of scientific works -192, including abroad — 51, monographs – 7, certificates of state registration of rights to the object of copyright — 5. Educational and methodical work: 8 manuals, 28 electronic educational and methodical works, including 15 electronic textbooks, 11 multimedia presentations, 5 slide lectures, 3 video lectures. Research interests-industrial enterprise management, adaptation of industrial enterprises to the challenges of our time.